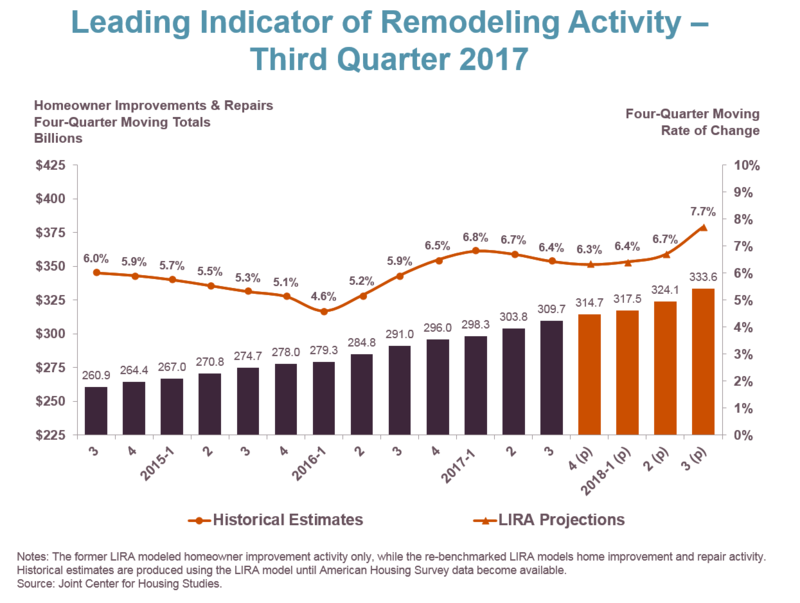 Prior to the Great Recession, home owner spending for remodeling and renovations was very strong. Besides remodeling the kitchen and bathrooms, many home owners also created specialty rooms (also known as special function rooms) in their homes. Specialty rooms such as home theaters and media rooms were not just trendy because they were cool to have in the house, but they also added resale value. According to Kermit Baker writing for Harvard’s Joint Center for Housing Studies, post-recession home remodeling spending dropped off by as much as 28 percent between 2007 and 2011. That spending decrease meant that while home owners focused on saving and paying their mortgages, specialty rooms were no longer a necessity. Prior to the Great Recession, specialty rooms were a must for home owners. However, many of these specialty rooms were primarily added for display and resale. Home owners have since moved away from the large gaudy specialty room and are opting for more practical spaces focused on enjoyment and function. Several years ago, panic rooms were in demand for protection. It wasn’t just to protect from a home invasion, as portrayed in the movie “Panic Room,” but also to offer shelter from severe weather. FEMA even provides information on creating a safe room in your home. Yes, specialty rooms are becoming popular again, but not in the way they were prior to the recession. According to the 2017 AIA Home Design Trends Survey (aia.org), creating an outdoor living area is the currently the most popular specialty room today. The outdoor living area is a way to extend indoor space and amenities (such as kitchen and home entertainment) to your back yard or roof top deck. But home owners are opting for other specialty rooms too. Building a fabulous mudroom comes in second in the AIA Home Design Trends Survey. No longer that meager alcove separating the garage and kitchen, the mudroom has become a multi-purpose functional suite. Obvious coat hooks, benches, and shoe cubicles are standard. But mudrooms have become larger to accommodate storage units and desks, typically with high-end flooring and moldings. Other specialty rooms mentioned in AIA’s survey include the home office and in-law suite. However, other types of specialty rooms that are popular include fitness rooms and wine cellars. As the economy improves, home owners have more money to spend on their passions. Currently, there is a trend to build specialty rooms to help home owners pursue hobbies and talents. Hobbyists are creating spaces for their collections and interests. Many home owners are designing dedicated rooms as art studios. Music lovers and musicians are finding that technology has made the music listening room and recording studio easy and affordable to create in their homes. Over time, the home has evolved from a Spartan shelter to a space where we relax and express our personalities. It is likely that specialty rooms will continue to evolve based the home owner’s lifestyle, finances, as well as technology. Specialty rooms will also vary based on societal norms (consider formal dining and living rooms) and economic conditions. Your home is an extension of your persona. 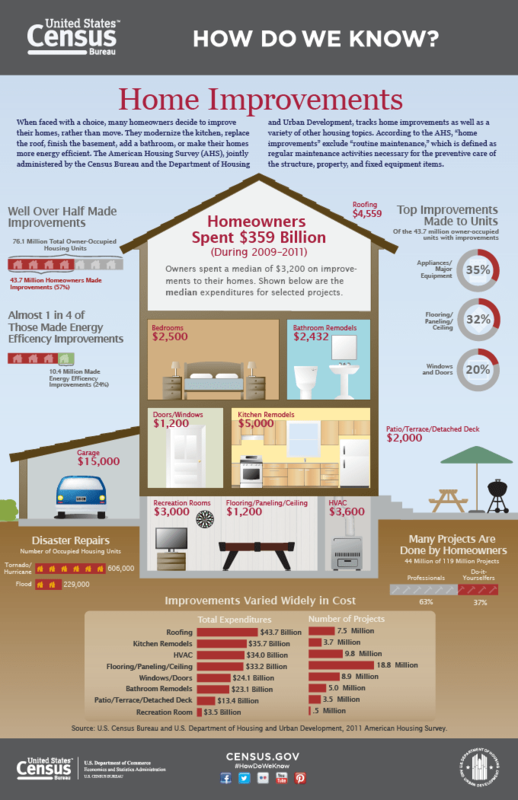 The condition of your home impacts how you feel. So, what better way to start the new year than making a New Year’s home resolution to improving your living space? There is disagreement about the need for and impact of New Year’s resolutions. Many believe that making a conscious and purposeful declaration to better your life can get you on the right path. However, many mental health professionals believe that making resolutions can be a set up for failure and disappointment if your expectations are too high. Making a New Year’s home resolution can be achievable if you make it sensible and meaningful. Decide on the goal and make a plan detailing how you will accomplish it. Ask yourself how the project will improve your life. Sensory prompts, such as a picture of a clutter free family room or a carpet sample, can help you stay focused on the goal and keep you motivated. You don’t have to go it alone either. Consider hiring a professional. If you decide to go the Do-It-Yourself route, make it a bonding opportunity by enlisting friends and/or family to assist you. Whether you hire a professional or not, you need a plan on how you will actualize your home project. It’s good to be ambitious with your New Year’s home resolution, but don’t fall into the trap deciding the project can be completed in one or two days. Instead, be realistic. After all, your daily routine is probably busy, if not hectic. Decide on how much time you can realistically devote to the project, and put in on your calendar. Whatever your New Year’s home resolution is, start with one room. If need be, break the room down in sections to help organize where in the room you will begin and where to go next. Collect and organize the materials you need for the project before you begin. The greatest distraction from achieving your resolution is a trip to the store for extra supplies. The most likely number one New Year’s resolution for the home is decluttering. This makes sense because we all lead busy lives and collect stuff throughout the year. But reducing the clutter in your home doesn’t only improve its appearance, it can also make you more comfortable. Decluttering may also give a boost to your mental health. Consider consulting with a professional organizer to help plan the project. 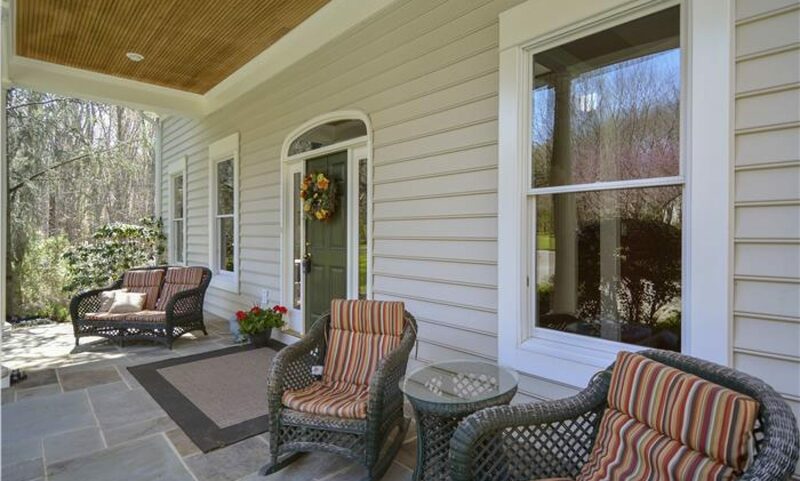 A home makeover is another popular New Year’s resolution project. Fresh and new is always in. Whether it’s painting a room or two, or installing new flooring, giving your home a new look can improve its appearance. A new look can also affect how we feel. Choose your color scheme carefully, because various colors elicit different responses. For example, a blue-grays may seem relaxing, while reds are invigorating and exciting. Catching up on deferred maintenance seems to be the New Year’s resolution that can get overwhelming. Despite our best intentions, we all have put off some repair or regular upkeep at one time or another. But repairs and maintenance are not static. Meaning that over time, issues can get worse, and neglected systems can break down. Instead of putting off repairs and maintenance, consider hiring a licensed contractor.